Preheat oven to 350°F. Line standard muffin cups with paper liners. Mash 1/8 cup sugar and lemon peel in small bowl until sugar is slightly moist. Whisk flour, baking powder, and salt in medium bowl to blend. Using electric mixer, beat remaining 1 cup sugar and butter in large bowl until smooth. Beat in egg. Beat in yogurt, then vanilla and lemon sugar. Beat in flour mixture. Coat the red currants with sugar in a cup. 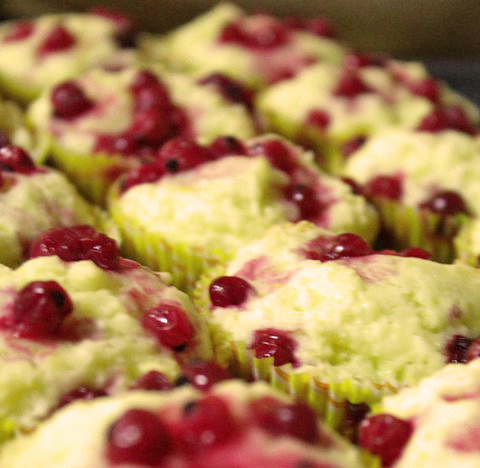 Divide muffin batter among muffin cups, filling 2/3 of each muffin cup. 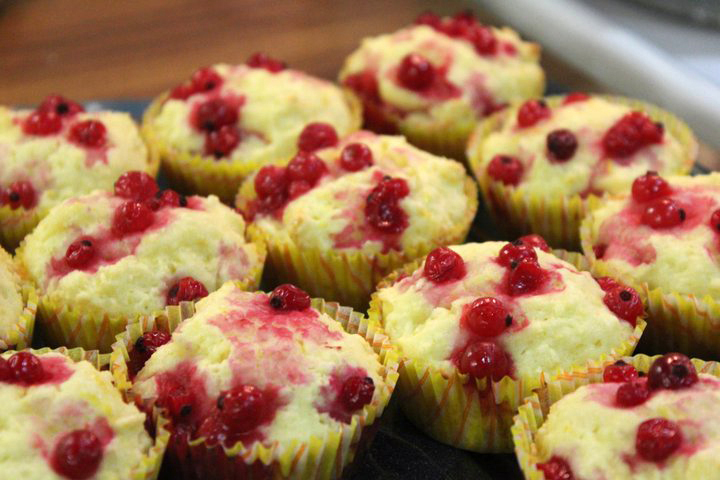 Top each muffin with the red currants and sliced almonds. 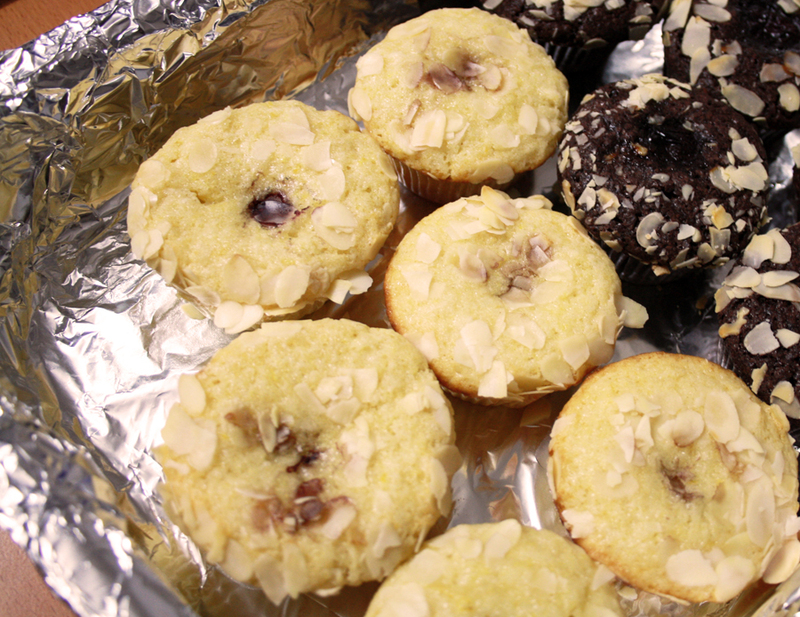 Bake muffins until lightly browned on top and tester inserted into center comes out clean, about 30-35 minutes.